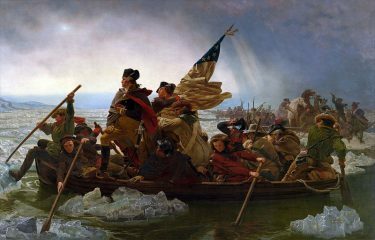 Artist Emanuel Leutze’s 1849 painting of George Washington’s surprise attack on the Hessians at Trenton on the morning of Dec. 26, 1776. As it is not taught in the state run Marxist education centers,take back local control of the schools. The dumbing down of this nations schools is purposeful and has been occurring for some time,how does one know their rights if they don’t know what they are,Purposeful. I bet that most people would be shocked if they knew what was taking place in class rooms today. Young minds are to easily influenced.